AIR O MATIC LIGHT COMMERCIAL PACKAGE UNIT (AVAILABLE 2 TO 5 TONS) and COMMERCIAL PACKAGE UNITS AVAILABLE UP TO 20 TONS. A package unit contains the same components you will find in a typical split systems but streamlined to work together in one space-saving unit. Our Air O matic package units offer a simple approach to your heating and cooling needs. 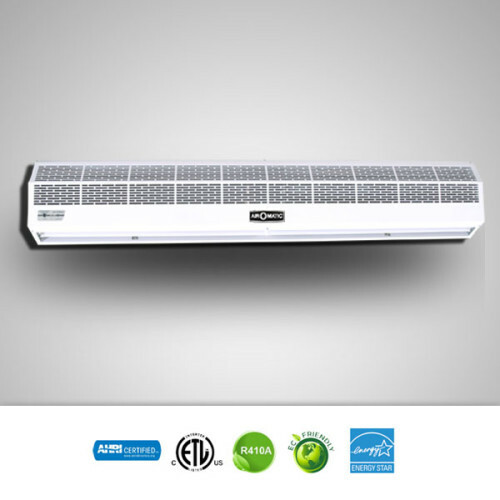 The package unit system have a high efficiency rating, advanced refrigerants, and offer the quietest indoor environment. 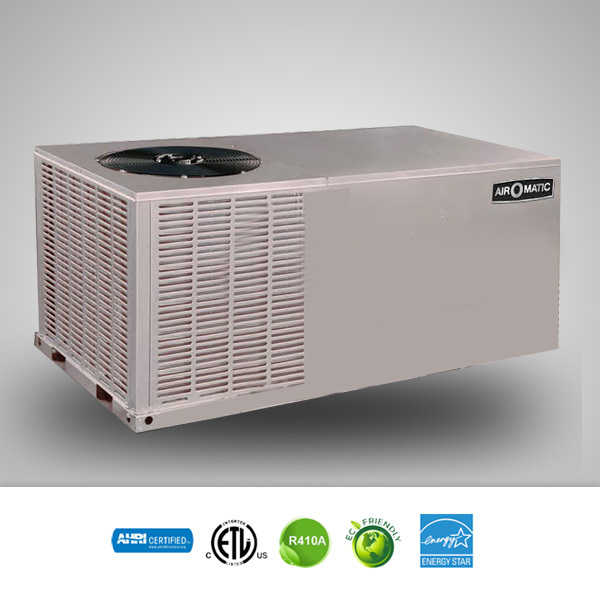 Our units offer a 14 seer efficiency rating. This means your package system will operate for a low monthly cost as well as low energy consumption. The Air O Matic package unit system also offers an advanced R410A refrigerant that doesn’t harm the ozone layer while providing dependable, efficient performance. Air O Matic’s package unit systems are typically installed outside at ground level or on a roof top. The ability to install these units outside enable reduced noise inside your home or office and make the ideal for either horizontal or down-flow design. Air O Matic packaged units represent some of the most ground-breaking technology in the market. Air O Matic Commercial Package Units continues to offer dependable systems that supply incomparable comfort in commercial buildings. Related to: Trane Package Units, Lennox Package Units, Carrier Package Units, Rheem Package Units, and Goodman Package Units. Categories: All Light Commercial, Package Units. Air O Matic Air curtains produce a high speed air current, dividing the inside and outside of the room into two independent temperature zones. The result of the high speed air currents enables the interiors air conditioning to be preserved and the air is sanitized, while energy is being saved. Summer heat, winter cold, smoke, insects, dust, unpleasant odors and exhaust fumes are all kept out through this process. The air curtain consists of a galvanized steel design of the outer casing making it easy to clean. The air curtains steel design also contains a high performance fire protection. Air O Matic’s Air curtain comes equipped with a wireless remote control with a hot and cold switch to turns off the machine with a time delay of 30 seconds. Air O Matic Air Curtain also delivers temperature moderation and power surge protection for dual protective capabilities.